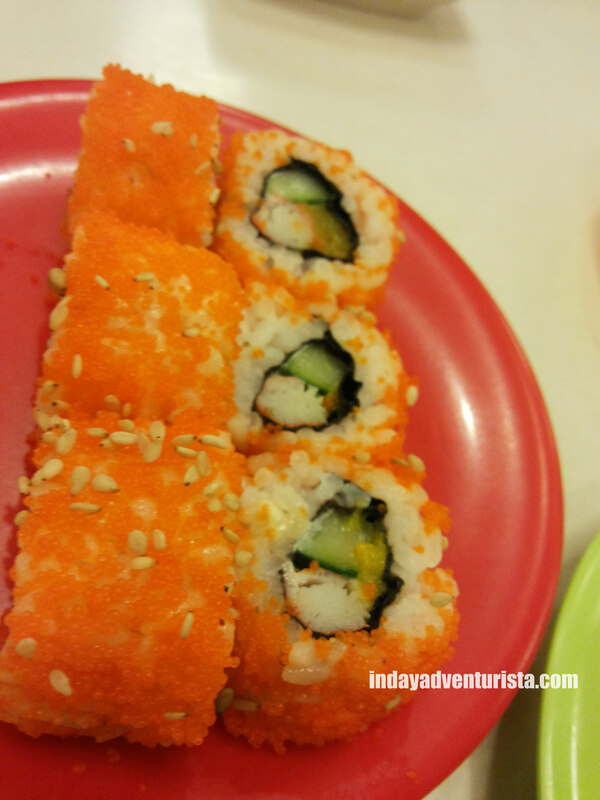 Looking for some sushi fix? 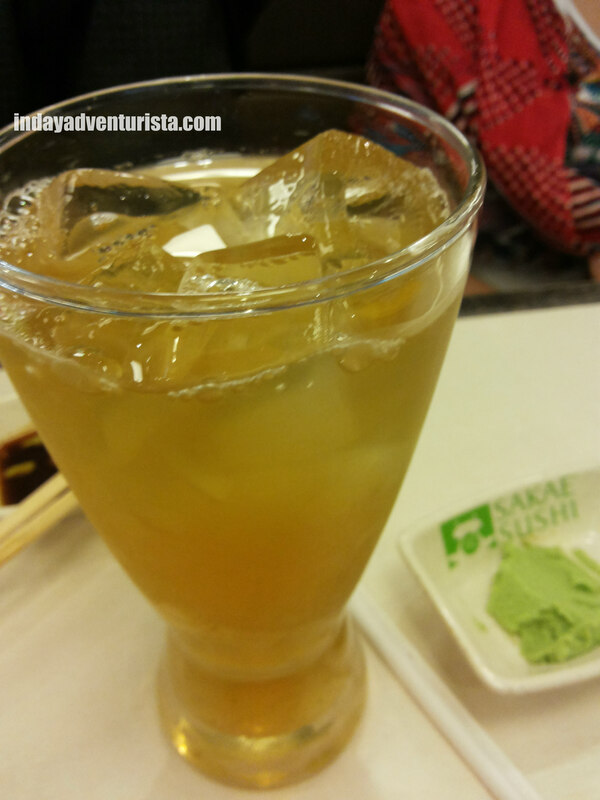 If you haven’t heard of Sakae Sushi yet, then let me tell you more about it. 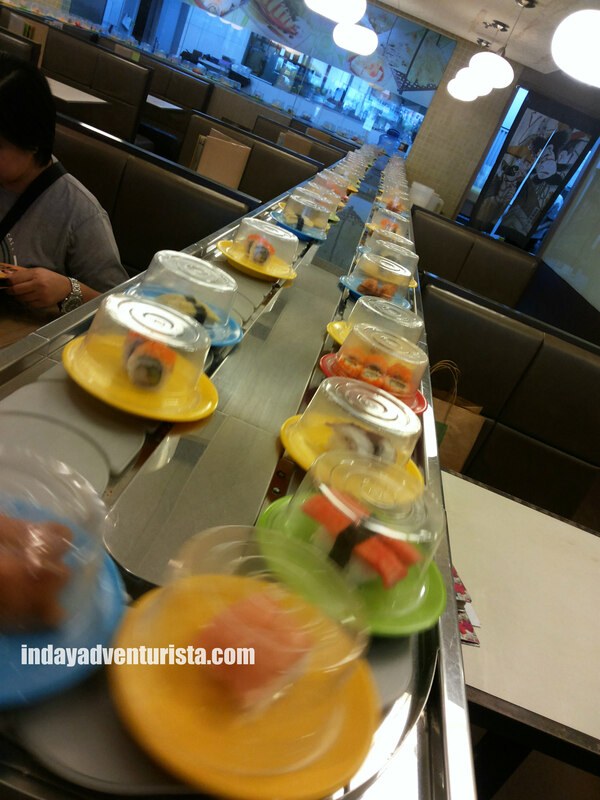 Sakae Sushi is an all-you-can-eat sushi buffet that goes around the restaurant on a conveyor belt. 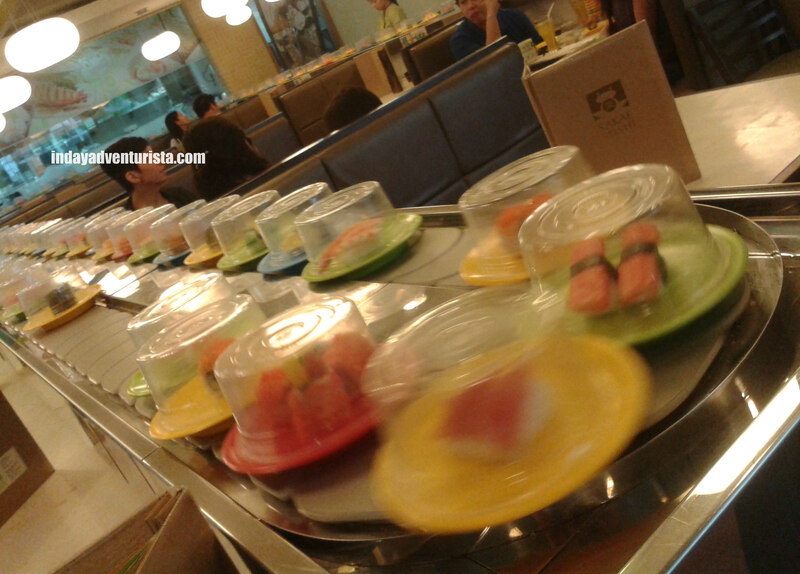 The rotating conveyor offers a wide selection of sushi favorites that you can pick one at a time or pick all at once. 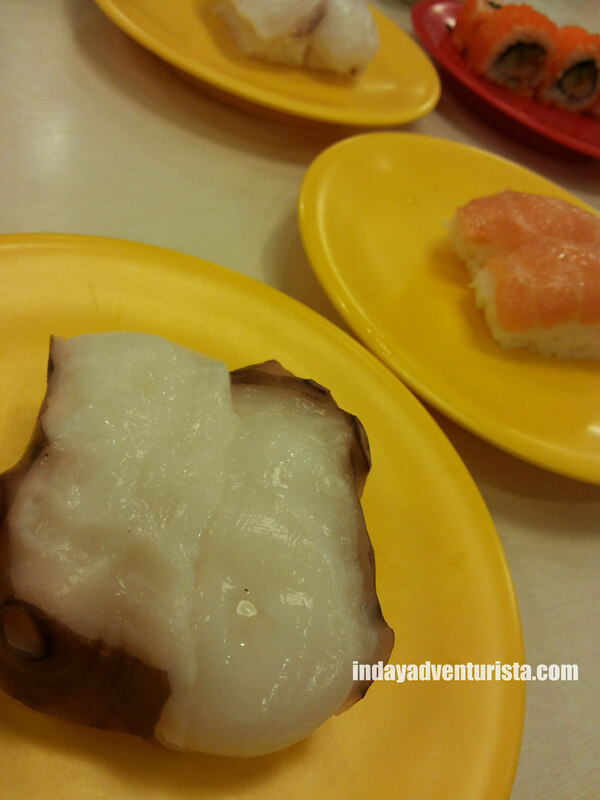 It’ a sushi-go-round experience you would not want to miss. 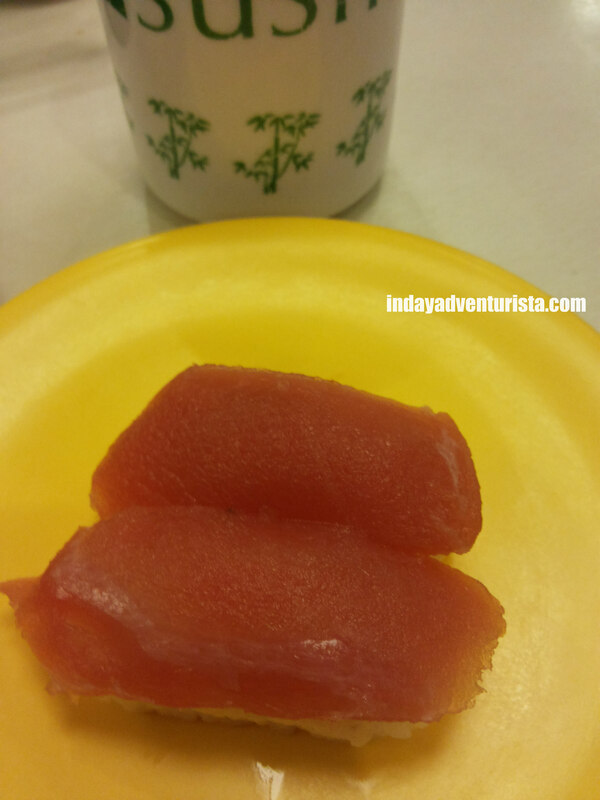 Each sushi dish is served on vibrant colored plates, coded depending on the price of the dish. 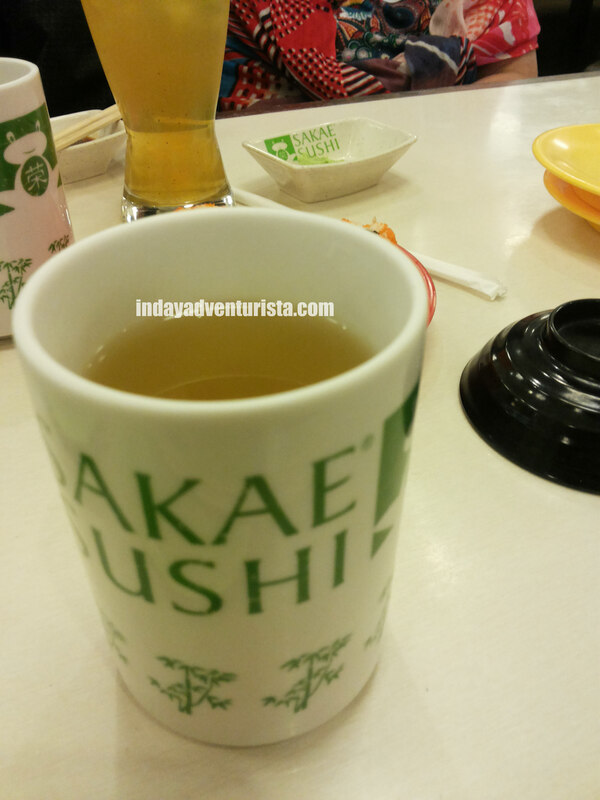 For only Php 399.00, you will enjoy unlimited sushi, bottomless hot/cold green tea and a bowl of miso soup. 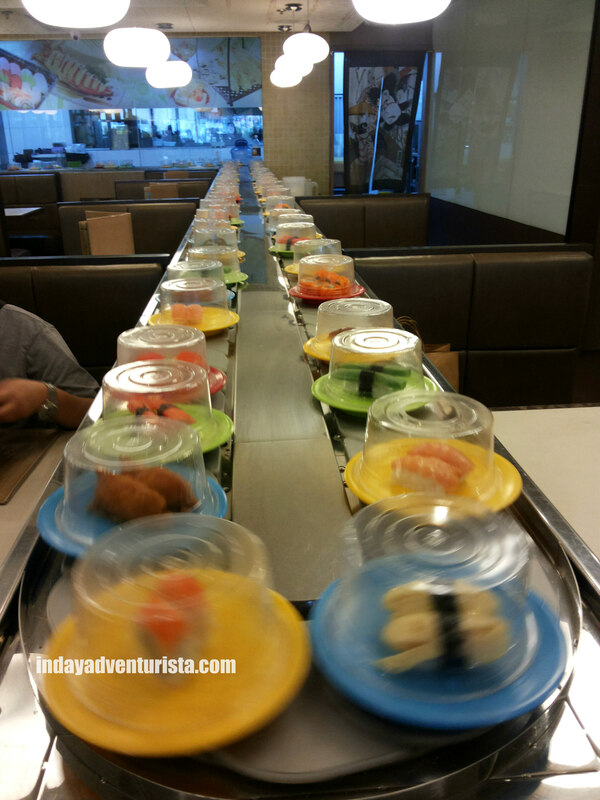 It’s fun to see the conveyor belt moving along the side of your table aside from the exciting thought of having to pick any or all sushi you love without constraint. 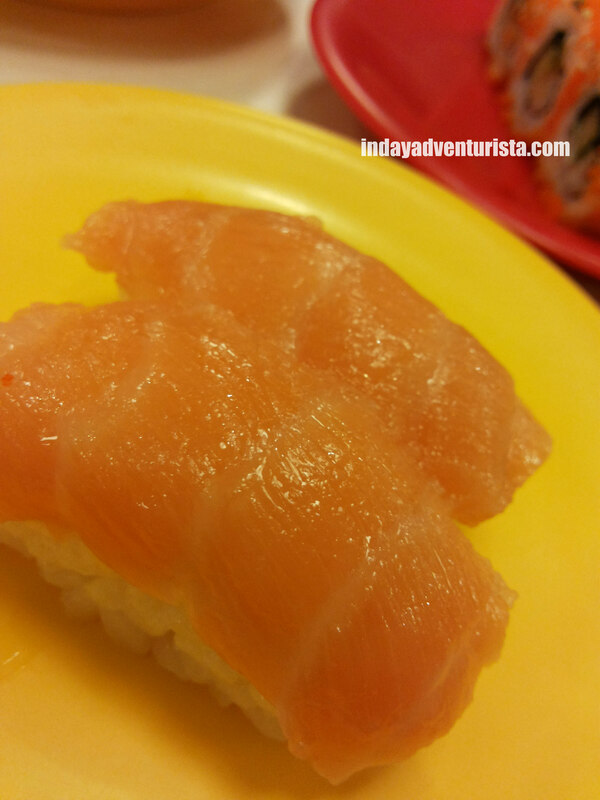 Sakae Sushi has a “NO LEFT OVERS” policy, therefore customers need to finish all the sushi they picked otherwise they will be charged with the à La Carte cost of that particular dish. There is a price guide beside each table for those customers that are not taking the sushi buffet. 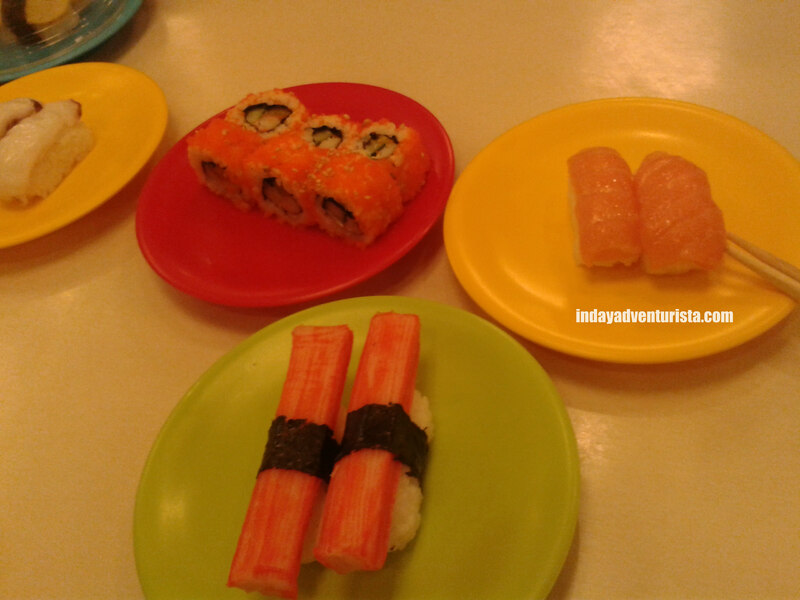 I strongly suggest you go for the all-you-can-eat deal because for the price of Php 399.00 you will get to try all sushi dishes at the same time keep eating your favorite ones until you, yourself, couldn’t take any more. Truly a great value for your money! Sakae Sushi also offers à La Carte meals. We took the the buffet, of course, but ordered additional Teriyaki Chicken Don for one of our companion who is not really a fan of sushi. 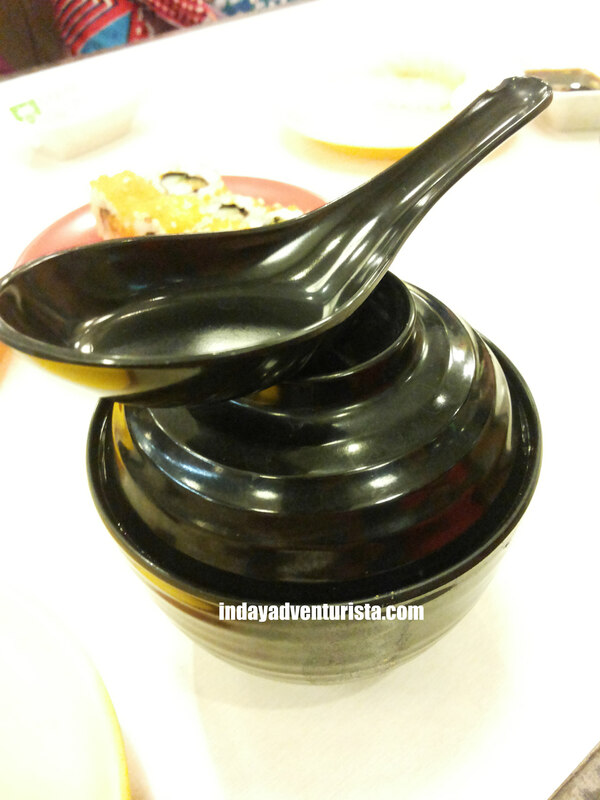 They have traditional Japanese food like ramen, udon and soba dishes, other specialties like tempura, teriyaki, and other Japanese food favorites in their menu. From the glass window, you can see sushi chefs preparing each sushi dish. 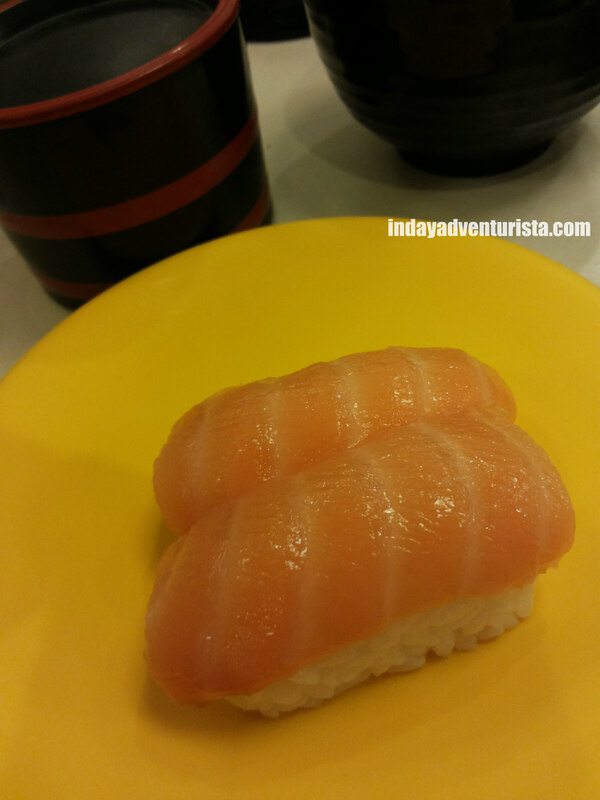 I’m such a fan of Salmon Ngiri Sushi so that is one of my top picks. 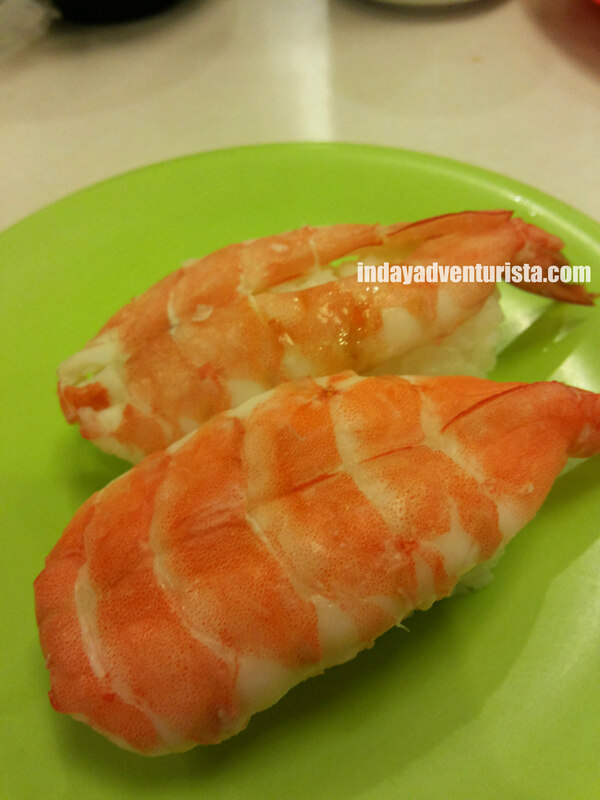 We, basically, picked almost all types of dishes and aside form the Salmon Ngiri Sushi, I recommend the spider roll, Tuna and most of the maki dishes. Overall, it was a good deal. We finished towers of plates that would cost us thousands if we rate it per plate. The atmosphere is a perfect place for family dine-outs or with friends. 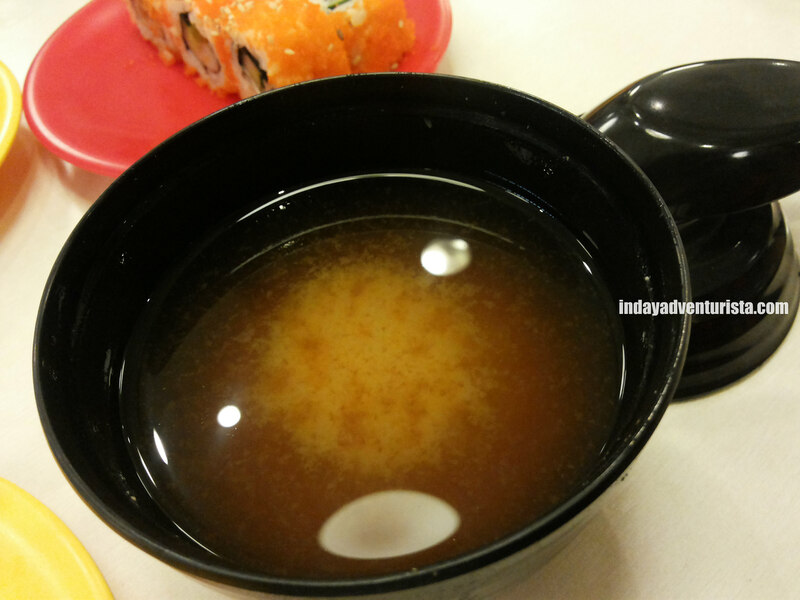 See how much value for money Sakae brings? 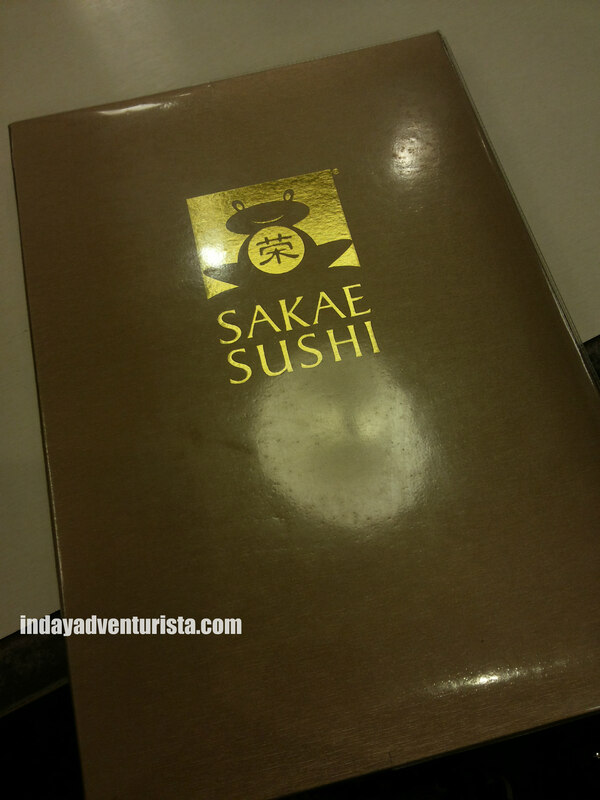 Release your inner sushi monster and visit Sakae Sushi with your friends and family. It will be worth your while. 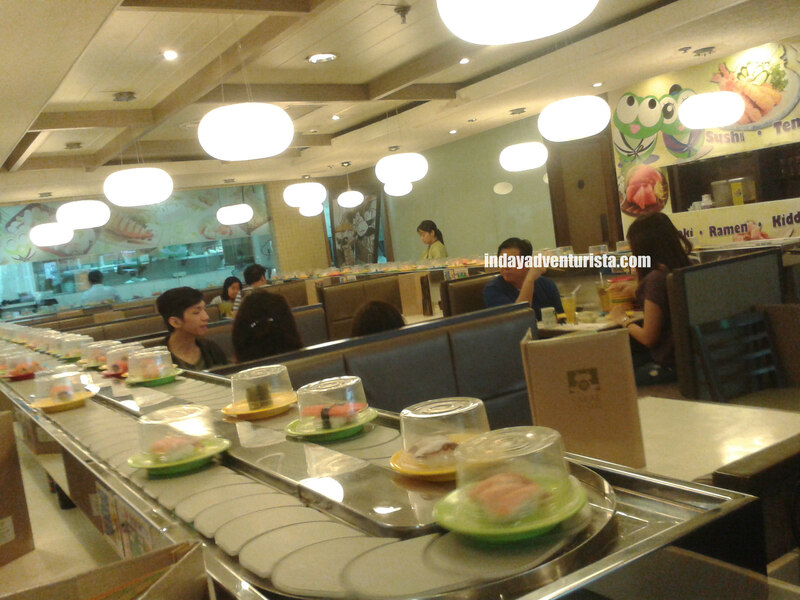 It was reported that Sakae Sushi in Robinsons Place Manila already closed down, indefinitely. This is such a sad news because I am actually looking forward to revisit when I go back to Manila. Will keep you updated, though, if they will re-open or if a new branch will.